You've had a good run. It's a hard gig. It's controversial as to whether if it is the hardest gig, but since this time in your life is the only time that's sent you to therapy more than once, we'll leave it with saying it's certainly one of the hardest gigs out there. No doubt. You'll question a lot. You'll freak out a lot. You'll wake up in a panic and rush into her room to make sure she's still breathing. You'll feel worse than you ever felt over the fact that breastfeeding didn't work out. You'll think surely I can't do this. But then you will. 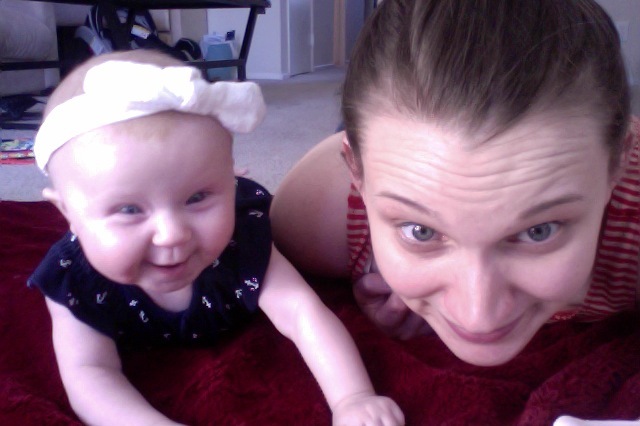 You'll melt over her smiles and coos and dancing to Bruno Mars. You'll face your highest highs and lowest lows of your 24-years on the planet. You'll question if your work matters, if the perpetual routine of feeding, changing, reading, washing bottles that will almost immediately be dirtied and folding onesies that little hands will unfold will make a difference, get noticed, be appreciated. You'll learn you're a soon-to-be stay-at-home mom of 2. Elated your flying solo daughter will have a companion and parter-in-crime, you'll do the second round of nesting, preparing, budgeting with joy. The days of double feeding, double washing, double reading, playing, folding will come and they'll be hard. You'll question a lot. You'll freak out a lot. But a little less so this time. You'll see your oldest with your youngest and feel a brief moment of simultaneous fear and awe. Then the day will come when you'll be faced with the question of going back to work. You'll accept a job offer but remain unsure. You'll ask is it the right job, how will my kids react to the change, should I try harder to stay at home full-time? Know there isn't a one-size-fits all sort of motherhood. Know every woman comes from different backgrounds, faced different upbringings, and has different temperaments that contribute to each woman's unique needs and personalities. The fact that you're more prone to panic and anxiety when in an emotionally draining environment for 8+ hours at a time doesn't make you any less of a good mom or a woman, it's just another quirk thrown into the mix that makes you who you are, and who you are is pretty great; so be at rest. And, then. On that day you wake up yet again asking yourself if you're making the right decision, will your dedication to raising your babies full-time and at home over the past 2 and a half years be irrelevant, you'll notice your daughter say "thank you" after nearly every time something is done for or given to her. You'll notice her running to get her little brother a stuffed animal when he's sad, ask her daddy if he's okay when he stubbed his toe, and gives you a hug when she notices you're sad. She'll blow Jesus kisses, fold her hands for Grace, genuflect at the pew, and say "Amen" after night prayer. 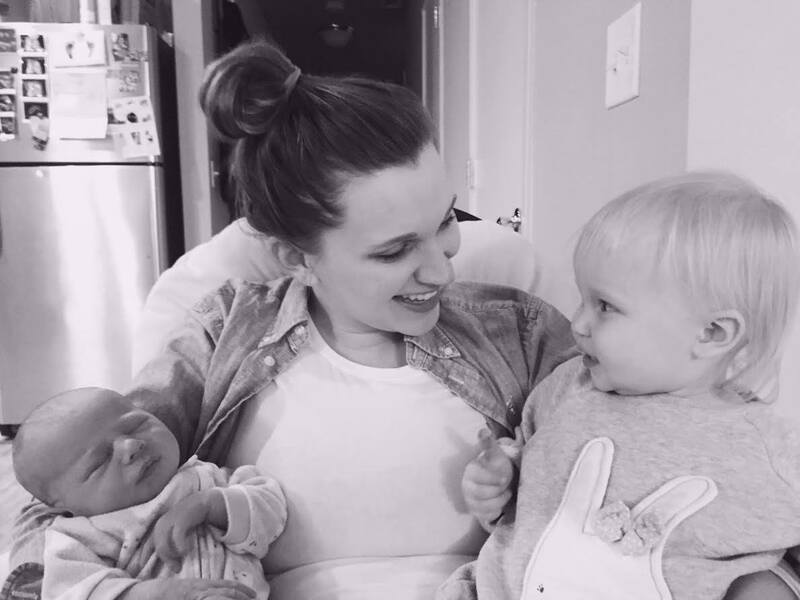 Her laughs, dancing, and smiles will remind you, even though the work of parenting never ends, that this 2 years of total dedication of being at-home was noticed, appreciated, and made a difference. You'll be sad when acknowledging you may be at work when your littlest takes his first steps or says his first word, but know if that happens, you made the decision of going back to work while thinking of your family and its well-being (and then say a quick prayer of gratitude for FaceTime). And if those comments - you know the ones, the ones that question a mom working, the ones that insinuate someone else is raising your kids - start comin', smile and say "have a good day." Don't let someone else's judgement rob you of your confidence in knowing how to raise your family. You know yourself, you know your husband, you know your kids. They don't. Remember it's not about the number of hours you "clock in" with your kids. It's the listening, the being attentive, the putting down your phone and including them in cooking dinner that matters. And then, the day will come. They first day when you'll leave shortly after breakfast and before first naps. The kids will look extra cute that morning with their blond wispy bed head and warm cheeks. You'll grab your coffee, dust off your heels, and your sweet, sweet girl will come running to give you a hug.